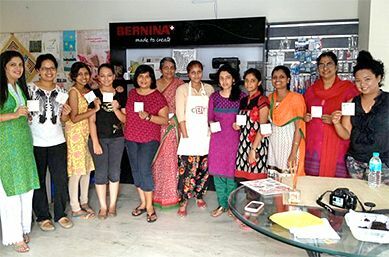 We are thrilled to introduce to you this wonderful collection of people who attended our fifteenth Certified Zentangle Training. Lot's of pix, ideas and fun below. Welcome CZT Class XV ! 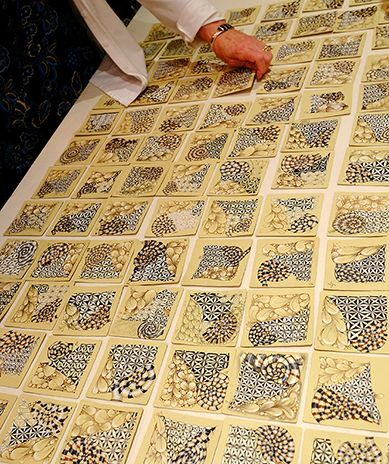 Once more, the phenomenon that Zentangle attracts really nice people proved itself again. It is such a privilege for all of us to meet and get to know such amazing artists. We had a star guest speaker . . .
Laura Harms, aka "The Diva" of iamthedivaczt blogging fame told her story one evening. 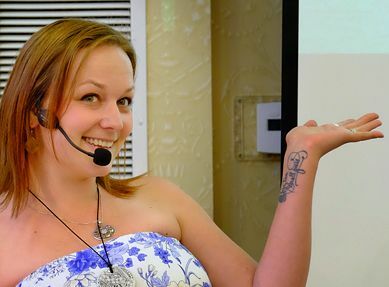 Laura, from Saskatoon, Saskatchewan in Canada, is a CZT. 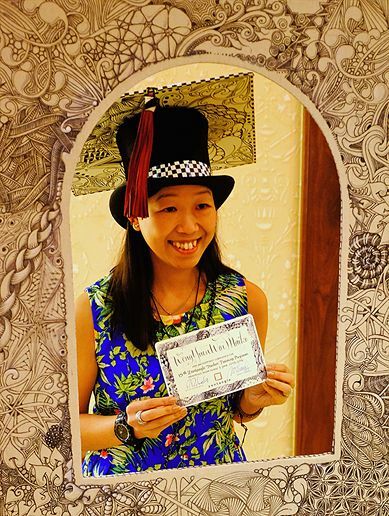 She attended our third seminar. 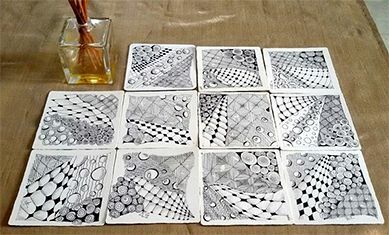 Her blog (in the unlikely chance that you aren't familiar with it) offers a Zentangle challenge each Monday. It is a widely followed, award winning blog that has developed into a forum for wonderful art and a supportive community. Laura had us alternately laughing and crying as she shared her life story and how it interwove with Zentangle. On behalf of everyone in attendance that evening, thank you, Laura, for being here and being you! Because these images are so small, we created a companion blog post for this newsletter with larger images for you to enjoy. There are also more images on the blog post than could fit on this newsletter. 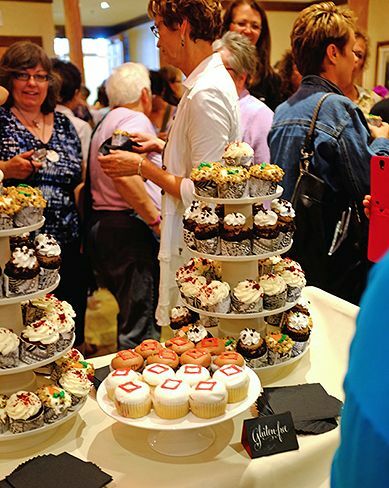 In our previous newsletter we announced our 10th Anniversary. We set up a celebratory blog post for comments. We also offered gifts to random posters. The comments were so amazing (and numerous) that we added more gifts and announced all the recipients on this thank you blog post. Check the Thank You blog post to see if you won and make sure we have your mailing address. If you have some moments, check out the comments on our celebratory blog post. 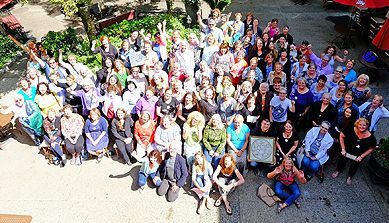 To all who have been with us, and those who have just come on board, we thank you for helping us celebrate this decade of Zentangle. We're excited to watch what happens next! "Thank you for 10 wonderful years!" I finished my Girl Scout Gold Award Project event. Thank you both for supporting my gold award project. 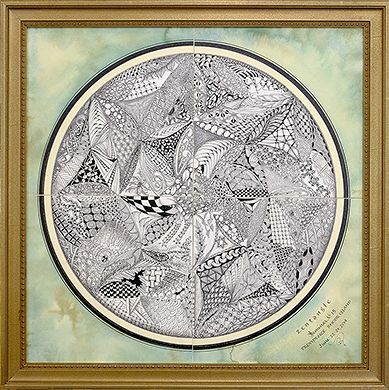 I learned about the Zentangle method during 10th grade while volunteering for my middle school art teacher. 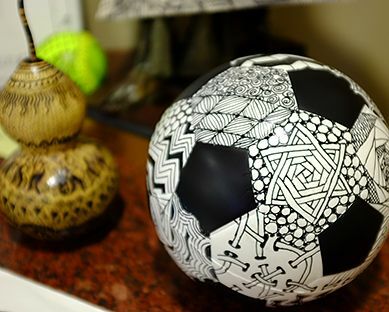 I have been using it ever since; especially when I am stressed and frustrated, Zentangle art helped me through some of the most stressful nights. 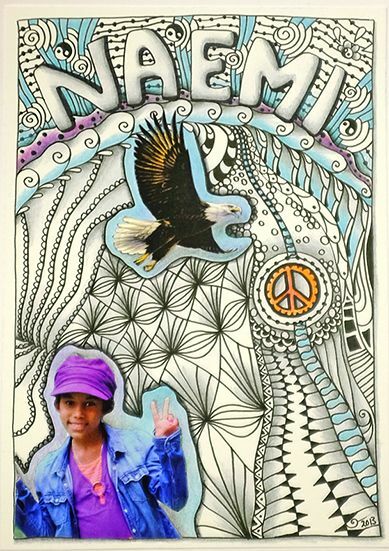 When the time for my girl scout gold award project rolled around, my first thought was to use Zentangle method and other various art forms to help and inspired other students as they had inspired me. 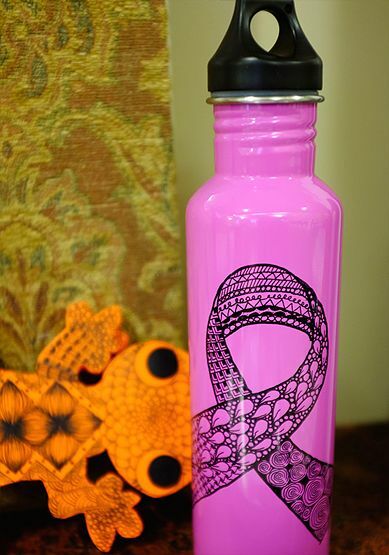 When I shared it with my friend, she immediately began drawing with Zentangle method and loves it with a passion. I am determined to spread this wonderful art form for high school students. 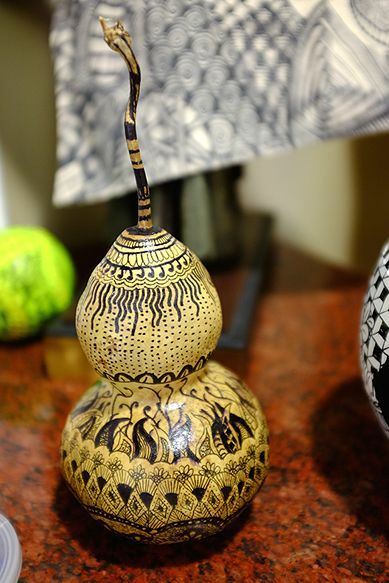 Many students are concerned with their perception of themselves cannot always produced a beautiful art; however, with the Zentangle method, I believe all students who participates in the event will be benefited from the experience and gain confidence through art. Hope you two are doing well. 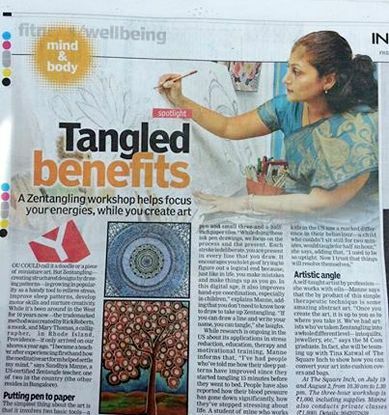 I am excited to share about getting started to teach and spread Zentangle here in the Southern part of India. Though I had been doing some private one on one classes for a while now...this was the first time to do a group class...and very happy for it to have coincided with the 10th Anniversary of Zentangle.. Thank you again for all that you do....Zentangle is the best thing to have happened to me!! Many thanks... I have to say that your service, in fact your entire organization, is AWESOME!!! 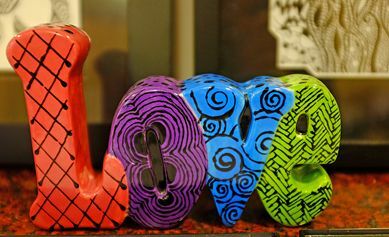 I just introduced Zentangle to my two grandchildren and now we have that to share! What a special bond and gift. 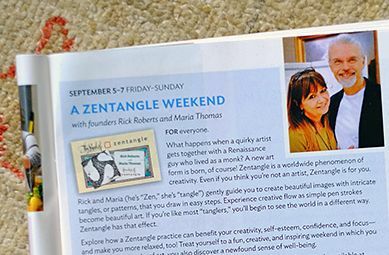 In an earlier newsletter we announced our weekend Zentangle workshop at the Kripalu Center for Yoga and Health in western Massachusetts. This event will be held September 5-7, 2014. Kripalu's Fall magazine just came out . . .
. . . and we don't know how many spaces may still be available as it was filling up quite fast last we checked. So, if you are interested in attending, please register with Kripalu right away at this link. We'd love to see you there. Please note that this is not a teacher training . 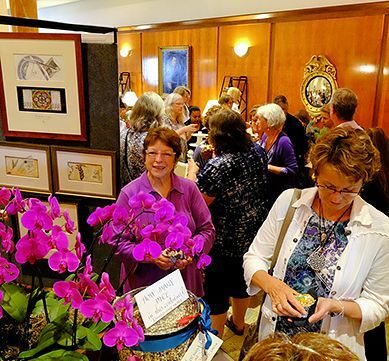 . . just a fun time tangling together in a lovely location (and season!). 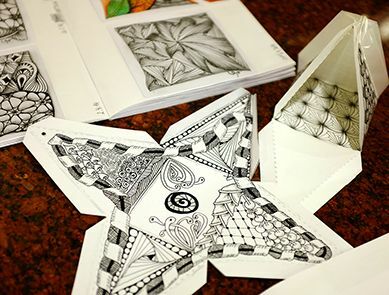 We're loving this Zentangle adventure . . . and we love sharing it with all of you.